Seema and I took the kids to see Tintin today, but alas it was sold out. My son was a quite disappointed as he was really looking forward to it … and to be honest so was I. So we ended up seeing Happy Feet Two. Unfortunately the whole experience was a little unpleasant; a rushed lunch, the hustle and bustle of a rush hour multiplex, the stress of sitting in the wrong seat and having their rightful owners turn up (yes that was my fault), and finally paying for a movie I didn’t really want to see in the first place. Surely things could only go up from here I thought. They didn’t. You can see the full review in the reviews section here. The latest Film Weekly podcast from the Guardian is up and it can be found here. Jason Solomons and Xan Brooks count down their top 10 films of 2011. Always a good listen. It has been a great year for cinema with some really interesting releases getting a decent amount of attention. Of course it’s not easy getting along to see them all and there is plenty I still would like to see (Shame, Drive, and The Artist to name a few). Nonetheless of the 2011 releases (in New Zealand) that I have seen here are my top five films. Feel free to chime in with your top five in the comments section. 1. Tree of Life – directed by Terrence Malick. Tops my 2011 list with comfortable ease. By far the most original and ambitious film of the year. Existential film covering the start of time till now … and somehow pulls it off. See my review for more. 2. True Grit – directed by Joel Coen and Ethan Coen. I’m not a huge fan of the Western genre. But I’m a fan of the Coen brothers. This remake of the 1969 original has it all; gripping narrative, beautiful cinematography, and exceptional performances from Hallee Steinfield and Jeff Bridges. Simply put, this is top-shelf cinematic entertainment. 3. Melancholia – directed by Lars von Trier. Brooding film exploring depression in a unique way. Superbly acted and movie making par excellence. See my review for more. 4. Black Swan – directed by Darren Aronofsky. Natilie Portman deserved the Oscar nod for her portrayal of Nina Sayer’s slide into paranoid psychosis. A film of such neurotic exhilaration it had me exhausted by the time it finished. Typical of Aronofsky’s high standard. 5. 127 Hours – directed by Danny Boyle. Technically brilliant film that maintains a heart. It’s not easy to generate viewer interest in someone who is stuck under a boulder for 127 hours but somehow Danny Boyle has done it. It’s a fascinating story told with real passion, and the tension building up to the inevitable event (involving an arm and a cheap knife) is palpable. 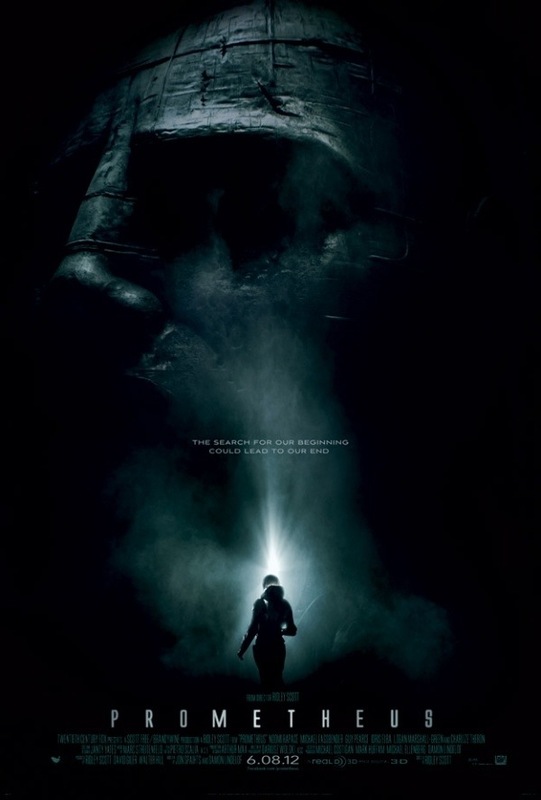 A little ridiculous really, but here is the trailer to the trailer for Prometheus. Saw Crazy, Stupid, Love last night. Hmmm … not a very good film. But then again I didn’t really expect it to be. So why did I watch it? Well it was a “couch night” with Seema (my wife) and I. She wanted to watch something “nice”, which usually means a romcom (or chick flick). Every now and then you’ll strike good one. Not on this occasion. I thought with Steve Carell and Ryan Gosling starring, this film might’ve climbed out of my pit of pessimistic expectations. Sure we had the odd giggle, but on the whole it was your usual corny romcom pap that in a years time will be lost in the oblivion of similar films. Not without regrets though as a film like this does wonders to my appreciation for good cinema, and of course a night in, watching any film with Seema, is time well spent!